Carlo Ancelotti and David Moyes on todays game. FA CUP, The Manager, The Opposition. 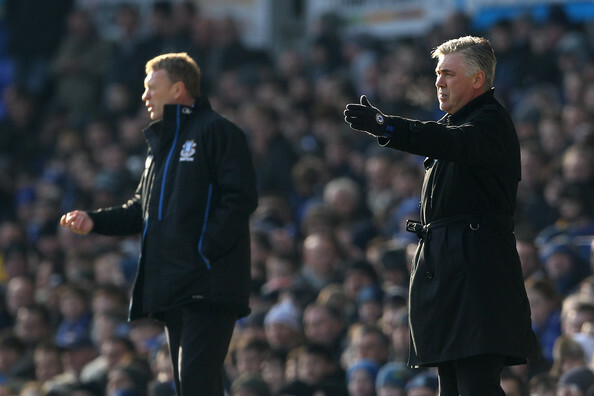 Carlo Ancelotti and David Moyes both spoke in their press conferences ahead of today's important Cup replay. If you haven't read my match preview then make sure you click this link to take you there. 'The good news is that Yury Zhirkov is available to play, he comes back in the squad. He will not start but I hope he will have an opportunity after. Drogba will start, but I have to choose the striker to use with Drogba. I saw the same Didier, in focus on the training working hard with good motivation and I think he will play a fantastic game. The FA Cup is another competition, it is a different story, We did very well last year, we won and want to repeat it this year. Everton is a very difficult game, every time we play against them we have difficulties but we want to win and do our best to move on and play against Reading next week. It is not necessary to rest players. Maybe I can change, to rotate something, but not because we want to prepare for the game against Copenhagen. That is a different story, we want to use all our power, strength and ability to win against Everton. It could be good for the atmosphere to win that game and prepare well for the start of the Champions League. It is another extra motivation for this reason and we want to do our best tomorrow, From tomorrow we are able to move on and have a possibility not to win but our aim is to play in the semi-final at Wembley. I like this competition. I like it because it is exciting to have a replay if there is a draw and to play on Saturdays. It's an important competition to play on Saturday so to put it during the week it is possible that it could lose importance. Chelsea are wanting to get to the final stages and I'm hoping they've got that on their minds. I hope they're thinking about that more than our game. They think the Champions League is the one thing they'd like to try and win. It is hard for those clubs to keep it up on all fronts, so let's hope the FA Cup is the one they decide they're not that keen on. I don't think Louis Saha has a chance, We've said at the time it will be 10-14 days and we're sticking by that, I think that will be the case. Jack Rodwell's done great, he's made great strides to be fit but I think it will come too quickly for him but he's done well and hopefully he'll be available next week.